Many vendors and services plus fun activities. Event to Benefit “Trap Neuter and Return” program at AWSOM. Bushkill, PA, June 14, 2018 --(PR.com)-- Trap Neuter and Return is the most humane way to control the population of feral cats in any community. 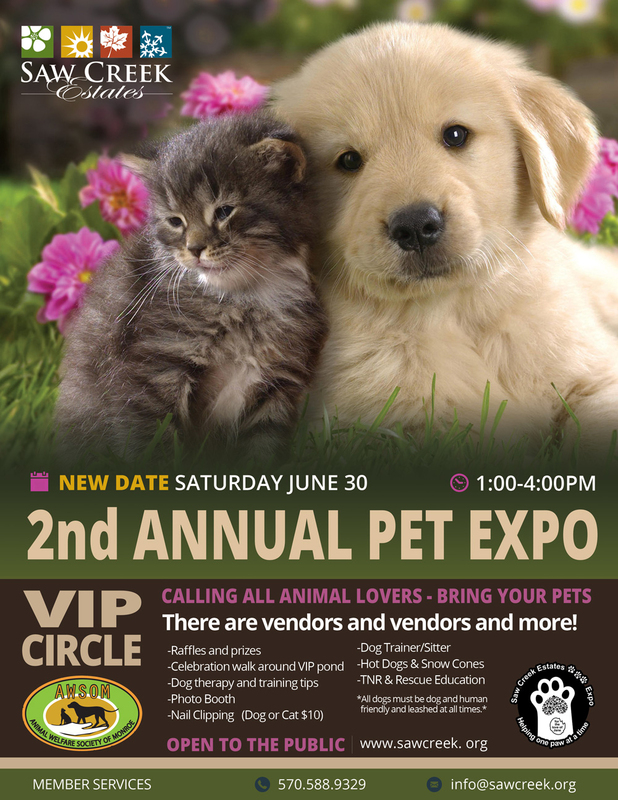 The Saw Creek Estates Pet Expo is here to collect donations to fund this specific need as well as offer a great time for visitors. Many vendors like “Pocono Moe Crafts” with stained glass, wood and knitted items is just one of vendors who will assist in making this a great day. A selfie cam with live pet filters and professional pet portraits make the event complete. Visit their calendar at www.sawcreek.org for more information. Saw Creek Estates is a premier 5-star, four seasons recreational community that is strives to produce quality events for its 3000 homeowners. The Community boasts a private ski mountain, indoor and outdoor tennis, 2 indoor pools, 4 outdoor pools, a lake with boating and beach as well as many other superior amenities and services. For more information please visit www.sawcreek.org.